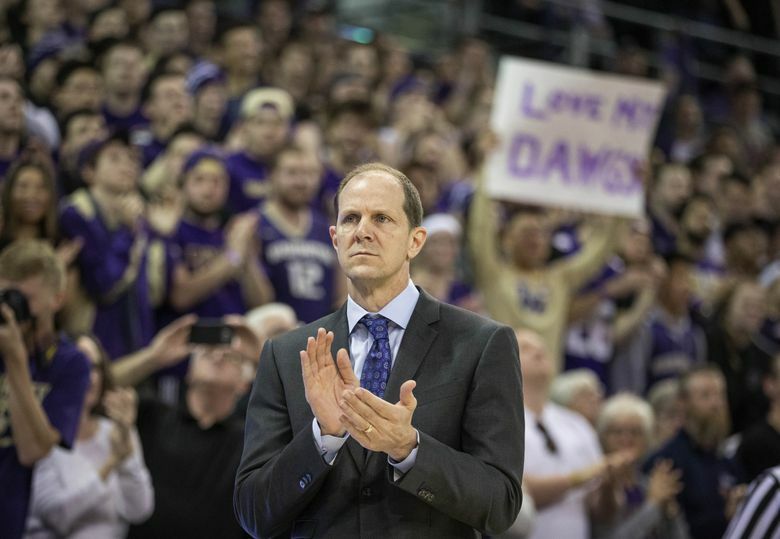 Updated Pac-12 basketball projections: Could Huskies contend for conference crown? With a handful of key players opting to return to school, the conference as a whole got stronger. One of the biggest beneficiaries figures to be Washington, which returns all seven of its leading scorers from last season. After a brutal winter, the Pac-12 experienced an encouraging spring with seven key players passing on the NBA draft and returning for the 2018-19 season. Rosters were strengthened both at the top and in the middle, creating the potential for the conference to not only secure a respectable quantity of NCAA berths but also to send multiple teams into the second weekend. Below are the Hotline’s updated projections for the conference race. (Previous: 2) The Bruins were slotted behind Oregon in the initial projections on the expectation that Jaylen Hands would return but Kris Wilkes would stay in the draft. With Wilkes back, the dynamic changes: He’s 14 points and five rebounds per game of proven playmaking and will join Hands and 5-star freshman center Moses Brown to give the Bruins what is arguably the top point-wing-big combination in the conference. As much respect as the Hotline has for Dana Altman’s ability to maximize his roster, we’re ever-so-slightly leaning to UCLA as the favorite — Wilkes’ return means that much. All these terrific Steve Alford recruiting classes will translate to a regular-season title eventually, right … right? (Previous: 1) The Ducks experienced a quiet spring compared to the roster changes at so many competing programs. The slip to No. 2 doesn’t indicate a deterioration in confidence in the roster quality: Oregon remains a threat to reach the second weekend of the NCAAs on the strength of its returning experience (Payton Pritchard, Kenny Wooten), incoming talent (Bol Bol, Louis King) and balance (offense-defense and inside-outside). Instead, the Pac-12 now has two teams with high-level, late-March talent. I felt compelled to pick an outright winner, but it’s not difficult to envision the Ducks and Bruins tying for the regular-season title at 14-4 or 13-5. (Previous: 5) I wasn’t sure about Noah Dickerson, Matisse Thybulle or Jaylen Nowell at the time of the original projections. Turns out, only Dickerson tested the waters, and he’s coming back, giving the Huskies a vital frontcourt complement to their perimeter talent. The final roster features four returning double-digits scorers from a team that went 10-8 and threatened to make the NCAAs until the final weeks. (The Huskies added 7-foot rookie Bryan Penn-Johnson this spring for additional help up front.) I’d hesitate to place UW on quite the same talent tier as Oregon or UCLA but would be only mildly surprised if the Huskies won the conference. (Previous: 6) Bennie Boatwright’s return — he opted against even testing the waters — was one of the conference’s most significant spring developments: The Trojans retain not only his production (13.6 ppg, 6.4 rpg) but his leadership, which will be vital in the wake of point guard Jordan McLaughlin’s departure. The returning core has loads of potential with Jonah Mathews, Nick Rakocevic and Jordan Usher, plus two gifted perimeter prospects in Elijah Weaver, the likely starting point guard, and Kevin Porter, a 5-star wing. If Boatwright stays healthy and the chemistry solidifies early, USC could contend for the title into the final weeks. (Previous: 7) Sean Miller impressively upgraded the roster this spring with a mix of recruits and transfers. Point guard Brandon Williams gives the Wildcats a top talent at the most important position, and there are numerous options elsewhere with returnees (Emmanuel Akot, Brandon Randolph) and transfers (Duke’s Chase Jeter, Pitt’s Ryan Luther and Samford’s Justin Coleman). This won’t be a dominant team, not by any stretch, but as noted previously: The ’19 Wildcats might do more with what they have than any Arizona team in years. Chemistry and urgency are often easier to muster when expectations are low, and they haven’t been this low in Tucson since the early Miller era. (Previous: 4) In contrast to the immensely spring roster overhaul in Tucson, we have stability in Boulder … stability and what should be a quiet confidence: The Buffaloes are the Hotline’s No. 1 sleeper pick for 2019, partly because of McKinley Wright, one of the conference’s top point guards — he averaged 14.2 points and 5.5 assists per game — and partly because of an undervalued set of returnees that includes sophomore wing Tyler Bey, who just might emerge as the Pac-12’s most improved player. CU’s homecourt advantage is also part of the calculation, in that it limits the number of likely losses. (Previous: 9) Attribute the uptick in ASU’s ranking to the steep decline of one team (Stanford) and the spring addition of Uros Plavsic, a skilled 7-foot-1 prospect who gives the Sun Devils much-needed help on the frontline. Combine Plavsic with the other talented newcomers (Taeshon Cherry, Luguentz Dort, Elias Valtonen) and a decent returning cast (Remy Martin and Romello White, to name two), plus San Diego State transfer Zylan Cheatham, and ASU has enough options to offset the departures of guards Tra Holder and Shannon Evans. The Hotline, however, is skeptical that any combination will propel the Devils to the top tier of an improved conference. (Previous: 8) Along with this projection comes the likelihood that it will look comically misguided by February: Not since the 2014 season have the Utes finished lower than fourth — a testament to Larry Krystkowiak’s ability to identify, assimilate and develop talent at a level unsurpassed in the conference. (Sedrick Barefield’s dalliance with the NBA had no impact on Utah’s placement, because he was viewed as a candidate to depart when the original projections were made.) Success hinges on second and third options emerging from a roster that lost four starters. Perhaps that’s Donnie Tillman, perhaps Jayce Johnson, perhaps a commodity unknown. (Previous: 3) Yep, this is a big drop … a huge drop. And it’s the result of two developments: 1) The departure (as a grad transfer) of Reid Travis, who was a double-double machine and made the role players better as the most confounding frontcourt matchup in the conference (returnees like KZ Okpala and Daejon Davis have vastly more difficult tasks without Travis around to create opportunities) and 2) Roster upgrades at a slew of competing programs, via either spring recruiting (Arizona) or NBA Draft decisions (Washington, USC). (Previous: 10) The May addition of combo guard Jordan Campbell will bolster backcourt depth, but OSU’s success starts with Tres Tinkle and ends with the Thompson brothers, Stephan and Ethan. The trio averaged 45 points last season and — without big man Drew Eubanks — must somehow improve on that production for the Beavers to jump to the next level after back-to-back seasons of 10th place (or worse) finishes. More of the same won’t cut it, because so many teams in the middle of the conference improved their rosters. (Previous: 11) Another instance in which the team might be incrementally better than it was last season — the Bears couldn’t have been much worse — but is in danger of losing ground relative to the competition. Wyking Jones will lean heavily on returning forward Justice Sueing (13.8 ppg), whose task is made more difficult by the departure (as a transfer) of top scorer Don Coleman. Incoming wings Jacobi Gordon and Matt Bradley and big man Connor Vanover (as in: 7-foot-3 big) must make immediate contributions if the Bears are to have any chance of escaping the lowest tier. (Previous: 12) The return of Robert Franks gives WSU a chance … a chance to avoid 1-17/0-18 … a chance to reach the outskirts of respectability … a chance for Ernie Kent to hold his job beyond the spring. But Franks will have to be even better than he was last season (17.4 ppg, 6.6 rpg) in order to offset the departure of guard Malachi Flynn (to transfer) and the dark clouds circling the program. After the initial success (7-11 in conference) in Kent’s first season, the Cougars have gone 11-43 in the past three.